Who doesn’t want long, healthy hair or even want to grow it out. My hair is long enough for me but I have those pesky roots which needs dying. I always dye my roots every 3-6 months because I am lazy and prefer to dye a nice chunk rather than a few cms. 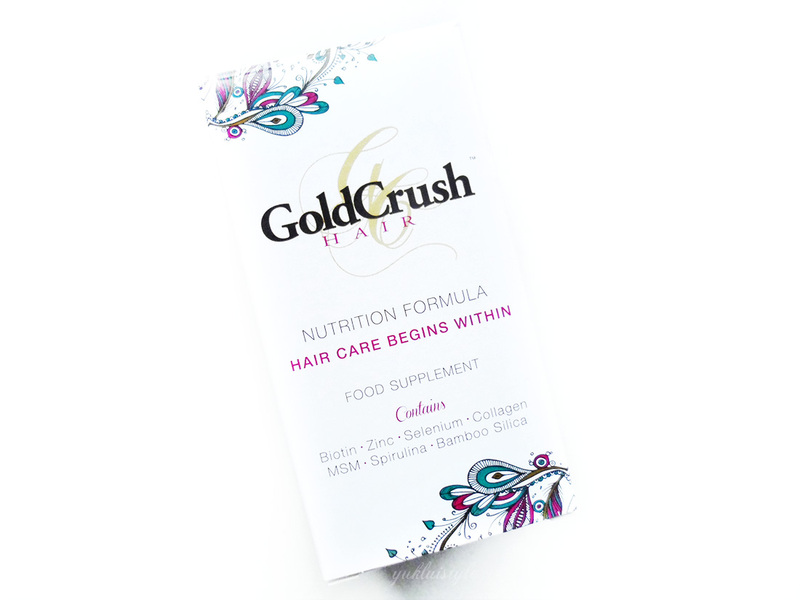 As my birthday is coming up, I definitely needed to dye them but my roots wasn’t long enough for my preference so I had started taking the GoldCrush Hair Nutrition Formula to hopefully speed up the growth. I was sent 2 months supply and had started taking 2 capsules per day as instructed. 2 months later and voila, I see results. I had about 1cm (0.39 inches) of roots towards of January and now, I have nearly 7.5cm (3 inches) of roots. My hair grows fast in general but this helped speed it up even more. I have actually dyed my roots now so unfortunately there are no photos as I was too eager to colour them. But how impressive is that? My hair tends to grow around 2cm per month but taking these, it grows just over 3cm per month. I think it’s time that I need a trim too. Hair fall out was minimised and my scalp doesn’t get as dry or itchy easily now. These are definitely working! There were other results I had noticed that weren’t hair related. My skin doesn’t break out as much now as well as stronger nails and doesn’t break or peel easily especially when my nails grow. I am unquestionably lacking in certain vitamins and taking these has helped me a lot. You can read what vitamins it contains here. I am into the whole fitness fad and it feels like this is helping me along my journey. I feel more healthier, it’s hard to describe. But of course, a healthy eating habit is needed too. The capsule itself does taste a bit funny and leaves a tad after taste but it will disappear after some water. It’s nothing major and would definitely purchase their monthly subscription as it is worth every penny. This would be great for whenever I decide to start growing my hair out which I have been contemplating for some time (and possibly go blonde again) but that won’t be for a while I’d say. This is highly recommended and there is a choice of how many month supplies you would like. 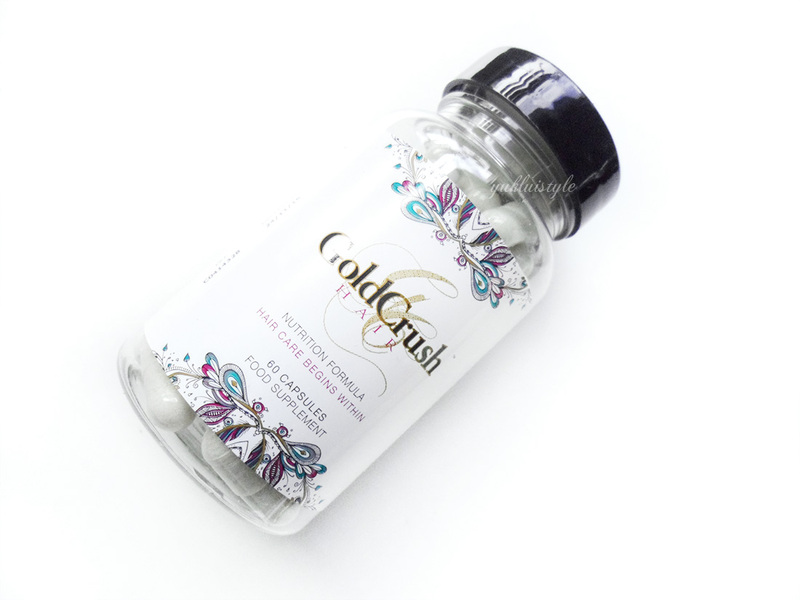 Have you tried any hair supplements? Amazing that you got results I never think this sort of thing would work. Thanks for sharing. 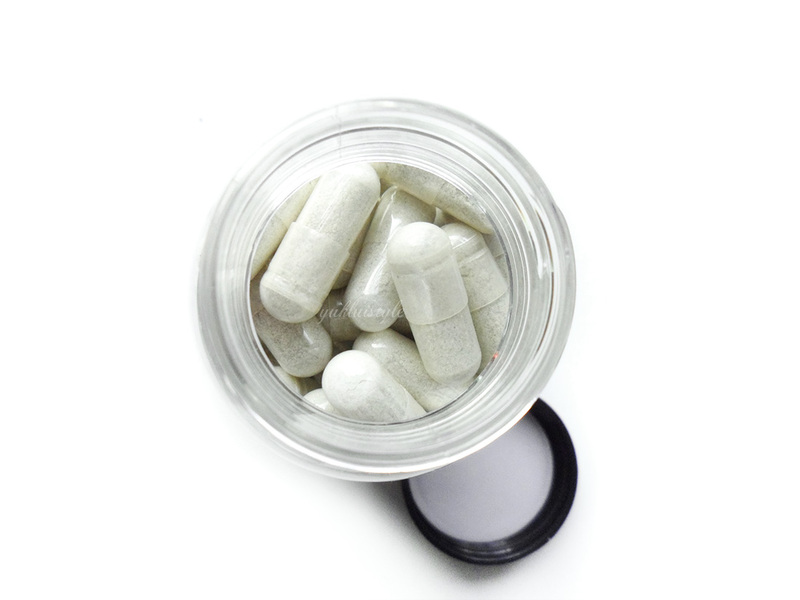 I have never tried supplements and I am always a bit dubious, but I love the idea that you have gotten results! Not going to lie, they look rather big for me to want to take personally but wow that is an impressive growth! These sound really good. I'm always a bit frightened of taking supplements, but I've heard good things about these. Your results sound awesome! I take prenatals with biotin, so I get the same effect, and I'm always amazed at how great it makes my hair look! Sounds like a good one the way you described it. Let me go ahead and tell my wife. I'm glad it is working for you! I take biotin and i love it! Hey, it seems these capsules are working for you. You could add some photos if you have so we could see the results better. Personally i haven't used any hair supplement. Except fish oil which is capsules that contain omega-3 fatty acids. There was i time i was working long hours and couldn't eat good enough,especially fish. Fish oil and omega-3 really really help in skin&hair wellness. The packaging is pretty! I'm not so much of a supplement taker but I'm sure this makes life so much easier! I've heard of many types of supplements but rarely hair supplements. And it's rather difficult to measure the hair growth I guess? I'm glad you did managed to measure that! These sound really good, I've been looking for something to help dry and itchy scalp. This would be great to have that healthy and shiny hair. It's easy to drink to compared to other products. These sounds pretty good. I've always wanted my hair grow faster. Good that it has good result on your hair. Oh, I love to see women with long shiny hair. Seems like my hair could definitely make use of this! These sound great!!! I'm def in need of some vitamins to assist in helping my hair and nails grow! I didn't know there's a medicine for this… Will this work for those who are bald? I haven't tried any hair supplements yet. I'm more of using product that is applied externally. Wow.. .this is a great product! I needed this for my nails too. I don't use hair supplements nor do I follow any regimen. I'm too lazy for that, my mom often scolds for not taking care of myself that much. Haha. I would really love to try that. I take multi-vitamins that does the same job.